For the first time since India’s Independence in 1947, there is no palpable Muslim representation in the majority party. Of the 283 Bhartiya Janata Party members elected to India’s new Parliament, there’s not a single Muslim representative. The lack of representation, combined with Mr. Modi’s image as a hardliner Hindu politician, has caused fear and concern in the Muslim community. 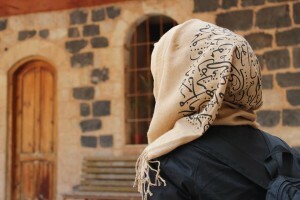 You talk to any informed Muslim and he feels a sort of ostracized from the main stream. Never before a whole community felt so isolated and confused. It is a well-known fact that since independence, the Indian Muslims are being systematically and increasingly marginalized in the affairs of their own homeland. Soon after the independence, various states and territories were reorganized splitting the minority dominated areas in parts and absorbing them in different states with a view to reducing their influence and making it difficult for them to win in any election. In Jammu and Kashmir is the only state where Muslims are in majority. India is a vocal advocate of secularism but nowhere else in the world secularism was so blatantly betrayed. It was expected that in an independent India, Hindu fanaticism will completely evaporate. Long before independence, Moulana Azad had said, “I firmly hold that it (communal frenzy) will disappear when India assumes the responsibility of her own destiny.” In so-called secular India, Azad’s hope was not only belied but Hindu fanaticism gained enormous strength and that also under the direct patronage of the government. The Congress party, which ruled India for over six decades, instead of making any effort to contain Hindu fundamentalism, did everything for its nourishment. Just after becoming the first President of independent India, Dr. Rajendra Prasad removed from the Rashtrapati Bhavan (President’s House) all the Muslims who were working there. There are thousands of examples which show how secularism is being betrayed in India. Secularism was betrayed by the federal State government by covertly becoming a party to the demolition of the Babari Masjid. The socio-economic conditions of the Muslim community of India present a dismal picture. The Muslims are deprived of due representation in public employment even at the lowest level. The representation of the Muslims in various Ministries is approaching to zero. Muslims are also failing to avail the equal opportunity in the private sector. The literacy level of the Muslim community is much below the average level of India. The school enrolment level of the Muslim children is also very low. Because of the hurdles at the lower level of education, the share of Muslim students at higher and professional level is also much below the national level of India. In ‘secular’ India, schools and other educational institutions are being systematically saffronized with Hindu culture incorporating glorification of Hindu mythological characters. Collective singing of Vande Matram of Bankim Chaterjee is almost an established tradition. Urdu is the language of about 62 per cent of the Indian Muslims and has the richest Islamic literature among Indian languages in all fields of learning. As a part of their efforts to obliterate the cultural entity of the Muslims, both the Central Government and the Governments of the States seem to do whatever is possible to strangle this language and deny it all opportunities of existence and growth. It is virtually banished from all the schools run by the Government. There are symptoms that space of Free Speech is shrinking in the democracy of Nehru and Gandhi. Not long ago, the famous book ‘The Hindus: An Alternative History’ by the academic Wendy Doniger was declared offensive towards their religion by a small hardline Hindu group and , forcing the mighty conglomerate publisher ‘Penguin’ were forced withdraw and pulp the book. In the aftermath of this episode two authors asked the publisher to cancel contracts and pulp their books, too, a move called “unprecedented” by one Indian newspaper. In the same period, a mob calling itself the Hindu Sena (Hindu Army), burnt copies of Caravan, the Delhi-based magazine, over an interview with a Hindu extremist. The famous brave writer activist Arundhati Roy, an intellectual with a conscience, declared the withdrawl of the book as an act of succumbing to “fascists” forces. Liberals in India feel under strain and than ever before about the right to expression as religious groups increasingly are flexing their muscles. Many fear that Hindu Fundamentalists are further emboldened as Modi, their most demagogic leader is elected prime minister. Hindu fundamentalism has been given a new name – Hindutva. Their concept of “Hindu nationalism is built on the idea that India is a Hindu majoritarian nation, with Muslims and Christians cast as the minority, ‘other’.” RSS’ Hindutva says that India should be an exclusive Hindu nation state. Today, Narndra Modi is the elected Prime Minister of India and he is a firm believer in RSS ideology. He did never hide his commitment to RSS ideology. A large part of Modi’s popularity comes from his message that Gujarat can be a beacon for India’s economic development. He talked tirelessly about his Gujarati pride. I don’t know how to recall my Muslim Pride. So, while we celebrate the Independence Day with gusto in company of our countrymen, we have a lot of reasons to feel estranged in our own house. Politics is a strange game Mr.Mulayam Singh! And they are playing their political cards also well. Today all political parties vie for their support including BJP – the only problem with BJP is it mixes difference dance styles of political theatre without knowing the forward foot. IRRESPECTIVE OF what the saffronized elements in the ruling elites of certain states and bureaucracy say or try to entrap Indian Muslims, Indian Muslims have always stayed away from national and international terror circles. Muslims are conveying their grievances through proper channels. They have been flourishing in every profession and gradually making their mark where they are. From Shahrukh Khan, Aamir Khan and Salman Khan; cricketers Irfan Pathan, Zaheer Khan to Azim Premji and Khoraliwalas and from Sania Mirza to The President of India, A PJ Abdul Kalam, they are proving themselves to respectable, vibrant and advanced citizens of India. And they are playing their political cards also well. Today all political parties vie for their support including BJP – the only problem with BJP is it mixes difference dance styles of political theatre without knowing the forward foot. Muslims have taken the demolition of Babri Masjid and the pogroms of Gujarat in the most positive way in their stride and if anyone has any doubt about their political acumen, they can read the toady’s following recantation of Mulayam Singh turned Kalyan Singh’s buddy. 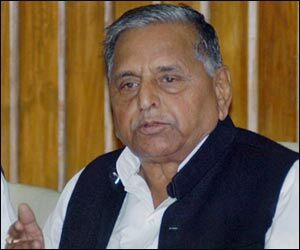 In an attempt to mend fences with Muslims after having aligned with Kalyan Singh during Lok Sabha polls, SP supremo Mulayam Singh Yadav on Thursday regretted taking support of those “responsible” for the Babri mosque demolition and sought pardon of the community. “In the last Lok Sabha polls, I had to take support of some ‘galat tatva’ (wrong elements) to keep communal forces at bay from forming government at the Centre. This confused the secular forces especially my Muslim brothers and their feelings were hurt. I accept my mistake and seek pardon of the Muslim community for my act”, he said in a statement here. He said, “I have already made public statement that I will never take support of those responsible for the Babri mosque demolition in the future. “I want to assure my Muslim brothers that whatever I have done will not be repeated and I will continue to raise voice in favour of the Muslim community”, Yadav, whose Muslim vote bank eroded in the last election, said. Something for BJP to learn in it.